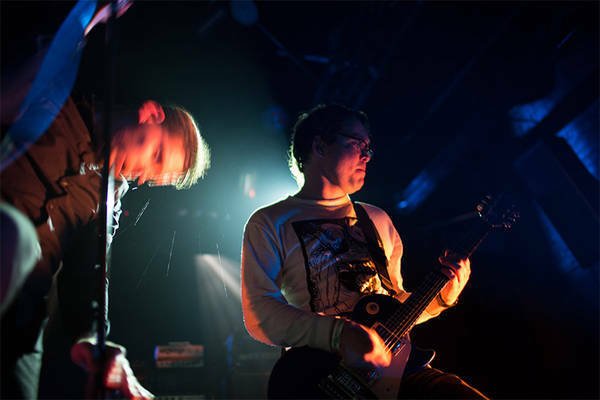 In this exclusive interview Kerry McCoy explains how Deafheaven created the beautiful but brutal sounds of Sunbather. San Francisco’s Deafheaven have been drawing rave reviews and creating insider buzz since their inception. The band’s 2011 album Roads To Judah won the hearts of metal obsessives and even earned the attention of Pitchfork, the de facto hipster bible. Creative lynchpins and founding members George Clarke and Kerry McCoy found themselves, perhaps surreptitiously, in the midst of an exciting wave of American artists blurring the lines between post-metal, shoegaze and black metal (no one really knows what to call the sound, they simply acknowledge its beauty). For all the plaudits their music drew, Deafheaven seemed destined to become the latest “best band most people have never heard of” - but then, in 2013, something very strange indeed happened. Deafheaven released an album called Sunbather - a sublime and immersive record full of delicate lyrical phrases, brutalistic textures and seething lyrics. A greater and more intricate release was to be expected, but the response from both the public and the media could not have been foreseen. Suddenly what could be considered a minority interest band were riding high in Rolling Stone’s end of year lists and occupying the front page of the mainstream pop culture and sports site Grantland. 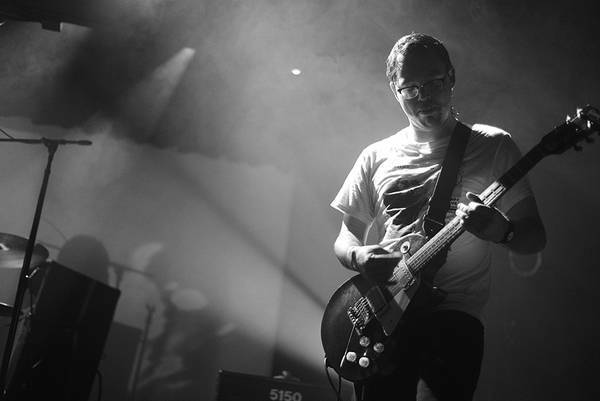 Guitar Planet was lucky enough to catch up with lead guitarist Kerry McCoy and in this interview we get to the bottom of the Deafheaven sound: breaking down how Kerry and George Clarke write music that, from the outside looking in, can seem bewilderingly alien. But we start by reflecting on the success of Sunbather. How does it feel looking back on Sunbather and 2013? When you got together in 2010 did you ever expect to have sites like Rolling Stone singing your praises? It feels amazing! Never in a million years could any of us have anticipated this. It's surreal. Now a lot of our readers are serious guitarists and they love to hear how different artists write and record. With that in mind how do you go about initially creating a Deafheaven track – your music is so layered and such a textural experience it’s hard to imagine the starting point? This is a great question - I've been told this is surprising, but a lot of the time the starting point is a single riff on an acoustic guitar. Stephané from Alcest and I have actually talked about this before; beneath all the layers of effects and different tones you still need to have a decent riff. If you can come up with something good on an acoustic with no effects or drums or vocals on it, tastefully adding effects and production will only make it that much better. Production and tonal choices seem crucial to your sound. Did you always have a certain destination in mind when you started recording? I wouldn't say that there was always a specific destination in mind tonally for our sound, but my tastes aren't very extravagant. I like bright, crunchy gain guitars that I feel almost borrow more tonally from Oasis' louder aspects, or Slayer's overdriven Marshalls than the scooped mids of your average death metal band. I like cleans to be somewhere between the chorus-y jangle of The Smiths and the blissed out reverb of Mono. As for the alternate dimensions or ideas for the songs, there really aren't any. It was a big enough job to come up with all of these riffs and songs that I didn't really have many left that I wasn't using. It’s easy for us sitting at home listening to Sunbather to think of it as a whole - to view a wonderfully lyrical piece like “Irresistible” as a chance to soak in what we’ve just heard and have our mood altered before the next big track - but when you were making the record did you always intend to blend grand set pieces with interludes or was there a time when “Please Remember” and “Windows” were stand alones? They were written as stand alone tracks, but on all of our releases I've tried to give the listener some type of juxtaposition, and having clean melodic passages or reverse delay drone pieces are one way to do that, whether they are labelled as their own tracks or placed in a song. Another reason for this is I've always written little short melodic things like that, and George and I early on decided that we should include them in this project. A lot of our readers who play in indie or rock bands will be interested to know how you work with George Clarke [Deafheaven’s lead singer]. So many of us are used to riff driven tracks and quite defined verse-bridge-chorus-repeat structures, how do you and George go about marrying his vocals to your guitar work? I'll show George tracks that I'm working on and get his opinion or ideas on where the track could go, and alternately, he'll do the same with me when working on lyrical content or art direction or titles. So it's a very collaborative process. When we get the skeleton of a song finished up, he'll show me the ideas he has for patterns, places we could repeat this line, or how intense we could make this part and so on. It's a lot of work but when you get it right it feels awesome. George’s lyrics are often very personal or precise and the guitar work feels very expressive and bold in its own right. How do you go about reflecting the mood of what he’s trying to convey? That's really all him. I come up with these riffs and piece them together, and he decides what lyrics should go where, which song should be used for these lines. Firstly, do you feel a connection to the European bands of the 80s and 90s: do you find it easy separating their music from their views or, in some cases, actions? Or is that a red herring entirely and you feel more connected to the Mogwai’s and MBVs of this world? Well, first of all, I wouldn't call us a black metal band. We obviously have a huge black metal influence in our music, and include a lot of elements of it in our work, but for me, black metal has always been one part musical elements, and one part ethos and vibe. A lot of people have said that we’re not a real black metal band and to be completely honest, I couldn't agree more. Our lyrical themes and aesthetic are vastly different, we have a huge amount of influence from bands that no one in their right mind would even call metal, let alone black metal, and we don't come from the school of thought that most of the BM bands I listen to subscribe to. That being said, I've always been able to separate art from artist with pretty much anything that I consume. A lot of people have a problem reconciling that, but I find it to be a bit of a slippery slope. Great art/music is supposed to challenge you and some of the great music I like is made by some less-than-savoury characters. And that's fine for me. I don't think by listening to a band you have to immediately agree with everything they believe. As a human being, and my outlook on life and the world in general, I guess I would say I probably have more in common with members of MBV than say, Gaahl, but I think that's true for most people on the planet. I actually couldn’t agree more with that last point. If we’re that hung up on what artists thought we’d never be able to watch a Woody Allen movie or read a book by Charles Dickens. Anyway, back on topic. Whatever you want to label it there seems to be an onrush of brilliant American bands reshaping what is generally considered the Black Metal sound. Do you feel a sense of being at the forefront of a sound or a part of a wider creative community? I agree with you that there are a plethora of amazing American metal bands and labels changing the way the world views metal in general, however I wouldn't say that we feel like a part of a big community, or at the forefront of a movement. We just do what we do, and play with and hang with artists/friends who we respect. Sometimes these are metal bands, sometimes they're not. It means a lot when our peers are into what we do, but it also wouldn't deter us at all if no one on the planet listened to us. We just do what we do and that's enough for us. The press love to create these narratives and I thought for once it would make sense to ask directly how interlinked or isolated you feel as musicians. You’ve spoken before about how hard it is making money and the pressure that has put off previous band members. You’re back on tour at the moment, has Sunbather’s success started to ease the pressure or is critical acclaim and online play still struggling to translate into tangible profits? The success of Sunbather has been overwhelming to say the least, and one of the many amazing things that have come from its success is financial independence. This has damn near everything to do also with our amazing manager Cathy Pellow, booking agents Merrick and Vincent, our tireless and very patient publicist Stephanie Marlow, and of course Tre from Deathwish. We consider ourselves incredibly fortunate to call this band our job now, and it's even more amazing that the people we work with are more like family than business associates. We know you’re still touring Sunbather but are you experimenting with any new ideas or concepts for your next record? Absolutely. Nothing I can really comment on at the moment, but it seems like it's going to be far more experimental. Right enough long winded questions from me; let’s finish with some quick-fire fun stuff: Was there a definitive moment when you knew you wanted to be a guitarist? My mom and dad got me an electric guitar and amp for Christmas when I was 13. I had been playing acoustic here and there since I was 11 but when that happened, I knew that was it. Do you remember your very first guitar and do you still own it? My very first guitar was a hand me down no name acoustic from my dad. He started playing guitar about six months before I did, and gave me it when he upgraded to a nicer nylon string. Your first gig: disaster, success or long forgotten? My first gig was playing drums in an Arab On Radar type band at a Halloween party in high school. We were literally terrible, but I had the most fun ever. I was hooked. When did you first get turned on to the heavier stuff, was there a gateway artist or album that got you hooked? When I met George in 9th grade all I was listening to was punk. My favourite band was Dead Kennedys. At the time all the metal that I’d ever heard was the nu-metal on the radio so I wrote the genre off completely before I’d even heard it. One day George burned me a copy of Reign In Blood and it opened my eyes - metal wasn't always a bunch of idiots playing boring riffs with contrived imagery - here was a band that absolutely ripped and was super dark. And then I saw a picture of [Jeff] Hanneman with a Dead Kennedy's sticker on his guitar and I was sold. Is there an artist whose music you love that might surprise our readers? We listen to a lot of rap, which isn't really a surprising thing to anyone in my group of friends, but this seems to surprise a lot of people who like our music. Is there a guitar or bit of kit you remember being excited about buying in the moment, but now look back and just shake your head? When I was 14 I bought a DOD grunge pedal and was so stoked about it. That's really all you need to know about that. Haha, I actually play riffs like that all the time for sound check. There's a certain kind of art to the traditional heavy metal riff, and I have fantasies about somehow making it fit into a song. Who knows, we threw a solo on the last one which is something I never thought we'd be able to do.